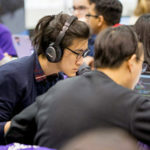 The winners of HackNYU 2019 are in! Twenty-one projects took home awards in a field full of innovative, novel ideas that were developed over the 48 hours of the hackathon, which included 13 winners across the hackathon’s tracks and 11 additional awards from sponsors and partners. 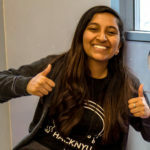 Srishti Sanya is one of two student Executive Co-Chair for HackNYU 2019. Connect sat down with her (virtually!) to discuss how she became involved with the event and what she’s learned from it. 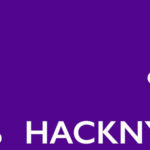 HackNYU, NYU’s largest hackathon, managed entirely by students, is back for another exciting year! Join the global HackNYU adventure with 500+ students, professionals, hardware hobbyists, hackers, and designers for a weekend of creativity and innovation, Feb. 15-17. The annual HackNYU event is one of the largest student-run hackathons in the country. 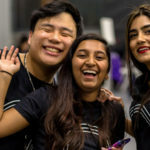 Eric Kwok, one of the Co-Chairs of HackNYU 2018, reflects on what it takes to put together such a large event, some of his favorite projects, and why the diversity of the hackathon and HackNYU’s organizational team gives him hope for the future. 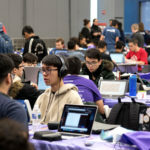 The 2018 HackNYU hackathon took place over the weekend of March 24-25. Out of 81 final submissions and 501 participants, there were 16 winners across categories such as Assistive Technology, Educational Technology, Healthcare, and Sustainability & Social Impact, as well as recognitions awarded by event sponsors.